You know how these things eat away at you. 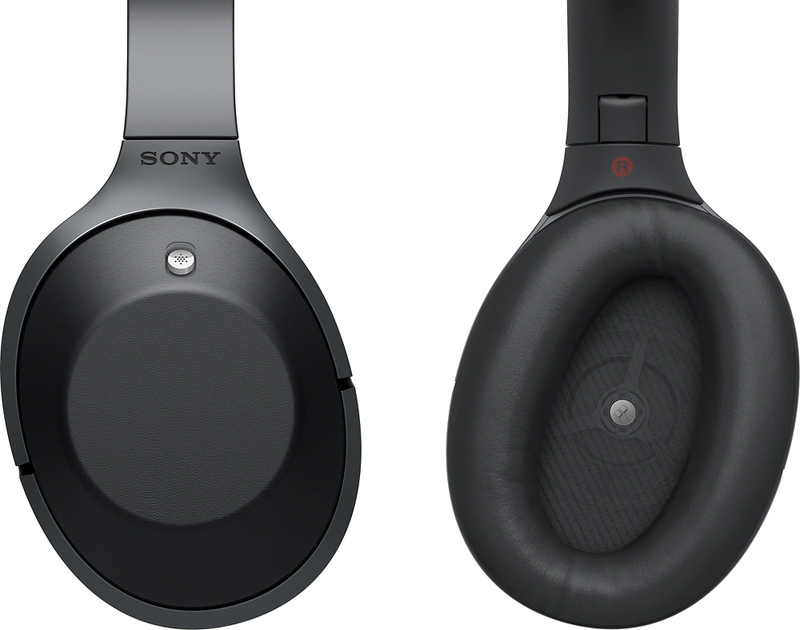 Earlier this year, I started obsessing about wireless headphones, and it got so bad that eventually, I just had to ask Sony for a review pair of its flagship 1000X ‘phones. I’d resisted the urge for some years, because wireless headphones have something of a reputation for possessing sonic properties redolent of a the last gasp of a trapped possum. And while Bluetooth transmission is now ubiquitous for wireless speakers, it’s a technology that’s soundly rejected by dedicated audiophiles for anything other than casual listening. Two factors conspired to get me all curious, however. One was the fact that over the years, I’ve become almost neurotic in my dislike of conventional headphones. After happily wearing them for many years, I gradually came to feel more and more irritated by the wires dangling down. They got my nerves all twitchy. And then I started reading some unexpectedly copious praise of a few brands of wireless headphone, most notably Sony’s 1000X. The fact that they came with a sizeable price tag probably helped to convince me that they were worth clamping on my oversized ears for a bit of a blast. Sony NZ dutifully sent me a pair, but the headphones sat there for months waiting for my attention. (So long, in fact, that while I was still ignoring them, Sony released what is purported to be an updated version that’s a wee bit better, with more user-friendly controls.) So finally, with Sony’s local reps screaming at me for their return, I overcame my irrational fear of headphones and set to the task before me. The first thing I noticed was how incredibly comfy and light these ‘phones were. They felt strong enough, but they were feather-light, which instantly rid me of my “get these damn things off me!” impulse. After about 10 minutes, I really did occasionally forget that I was even wearing them. The second thing I noticed was just how superbly easy they were to charge and set up. Matching to my iPhone took all of 15 seconds. I couldn’t figure out the tiny little controls at all, but that’s just me. Most noise cancelling headphones have tiny controls for tiny fingers that require some getting to know, and the only way to do so is to brazenly feel them up, because you can’t see the damn things unless you take the headphones off, thereby defeating the purpose! Young people know how to work their balletic digits around these wee buttons and switches, but they weren’t of any interest to this reviewer. I was only interested in the sound of the audio. I will mention in passing that they do a splendid job of cancelling out background noise, and perform this function about 50 percent better than the rather average BOSE noise cancelling ‘phones I owned some years back. But then again, the latest range of BOSE noise cancelling headphones does have an enviable reputation, so don’t take my word for it: always taste and try before you buy! The Sony 1000X’s also do a plethora of other clever things – analysing and optimising ability, etc – but that’s all outside the scope of this review, or my curiosity. I decided to live in the real world for the purposes of this review, and mostly listen to music from the best quality setting of streaming service Spotify. While that’s only 320kpbs, I find it quite listenable even through my Cambridge Audio CXN streamer, Prima Luna amp and GoldenEar Triton 1 speakers, so the presumption is that it will be well matched with the 1000X. And yeah, listening to Spotify through the 1000X’s was pretty satisfying, if not utterly convincing. 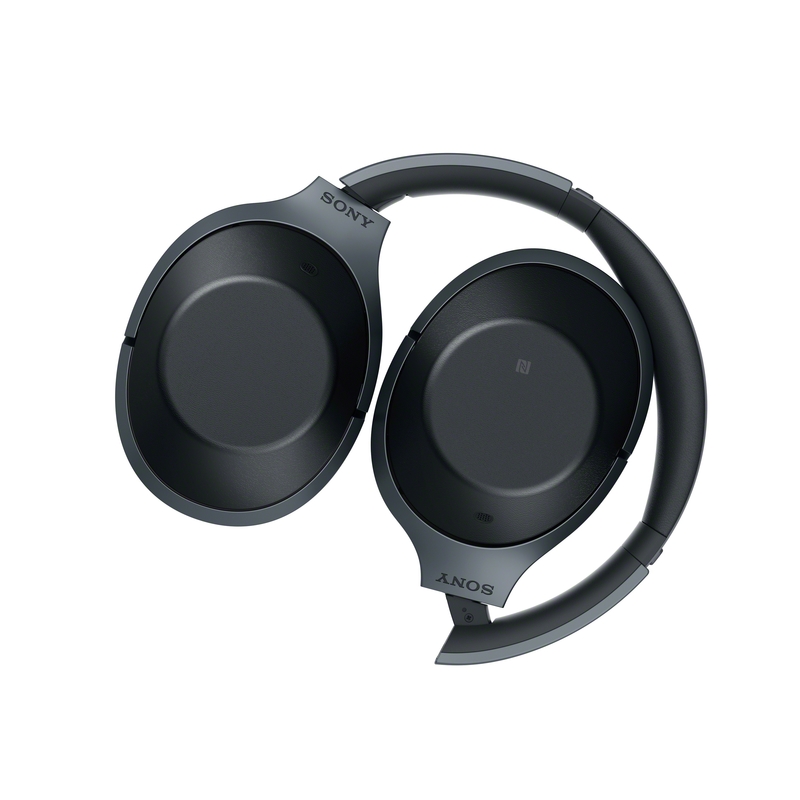 According to Sony, its LDAC system ‘transmits three times more data than conventional Bluetooth wireless audio, which allows you to enjoy high resolution content in exceptional sound quality close to high resolution audio.’ Well, music sure did sound nice through these ‘phones, and well balanced, too. None of that ‘too much bass-boost’ nonsense. Compared to a pair of really nice wired ‘phones, however, the sound just lacked a sense of grit and danger. Perhaps all its clever circuitry is dedicated towards making the cleanest, clearest audio picture it can, and that inevitably it does so at the expense of texture. But really, that was the only downside. For most people for whom headphones have the same purpose as the small wireless speakers dotted around the homed, the Sony 1000X would make for a splendid purchase. The same people will be just as enamoured with – and interested in – all the other useful functions the ‘phones are capable of. (No, they won’t put the kettle on or warm the bed up, but they are pretty clever). Me? I’m now trying to convince myself to overcome my fear of cords. 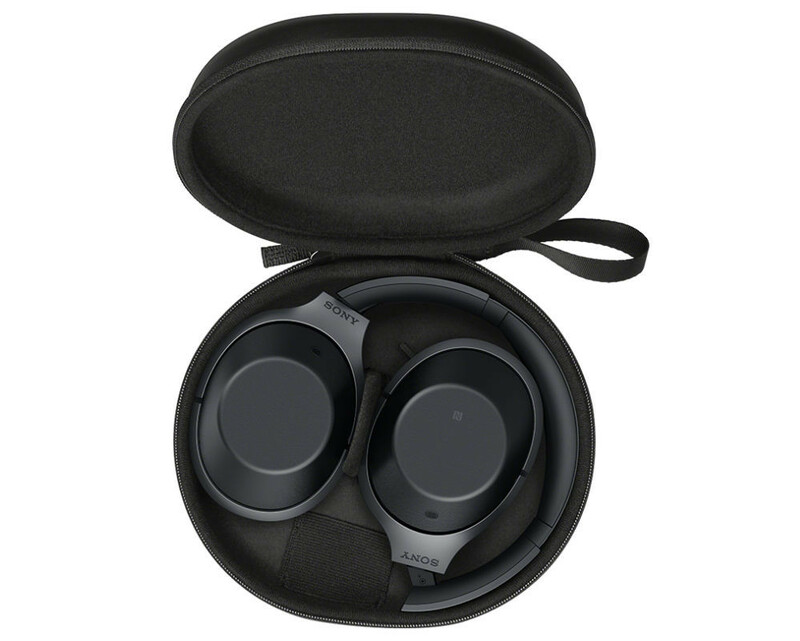 The Sony 1000X’s have given me the headphone bug again, but if I’m going to have a pair of cans clamped over my ears, what I really want is forensic detail. The 1000X is clean and clear and packs a punch when its needed, but there’s some unquantifiable lack, and it’s the devil in the details; the magic that shines through the cracks of sound that makes it compelling or emotional. 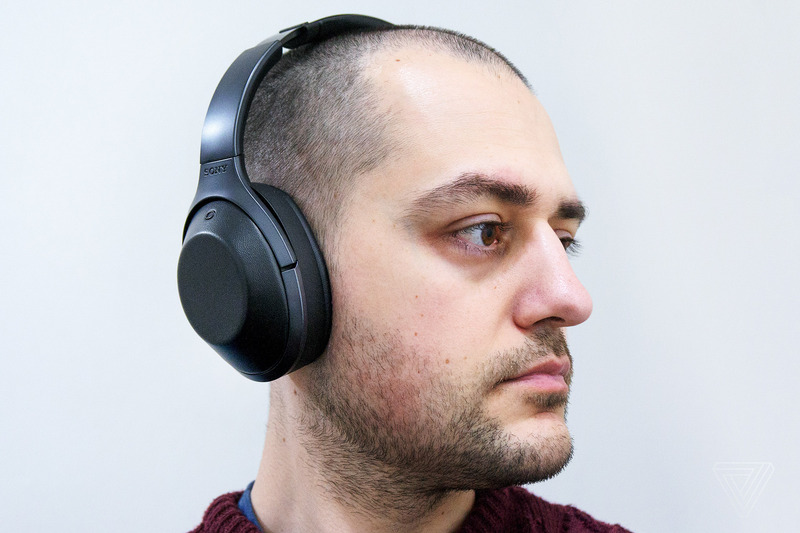 Don’t get me wrong, the Sony 100X Noise Cancelling Bluetooth Headphones are a fine pair of headphones, but I might have to wait another generation or two and yet more sound modification before I can honestly say I’d want to invest in a pair of wireless cans.